This year, the Whitney Biennial includes plenty of painting. And — for the most part — the painting is on message. It’s eccentric figuration with political content. Scarcely two months into the Trump administration, it’s impossible not to crave art and culture that is relevant. Our generalized collective anxiety supersedes almost everything. In this sense, the 2017 Whitney Biennial delivers. The two curators, Christopher Lew and Mia Locks produced a show in which half of the artists are women and people of color. Issues like police brutality, climate change, the wealth gap, gun violence, immigration, and hate crime pulse through the fifth and sixth floor of the museum. Like many others, I couldn’t help but think of the 1993 Whitney Biennial, where identity politics ruled the show. A crucial distinction is that, in the 1993 Biennial, painting was all but ignored. 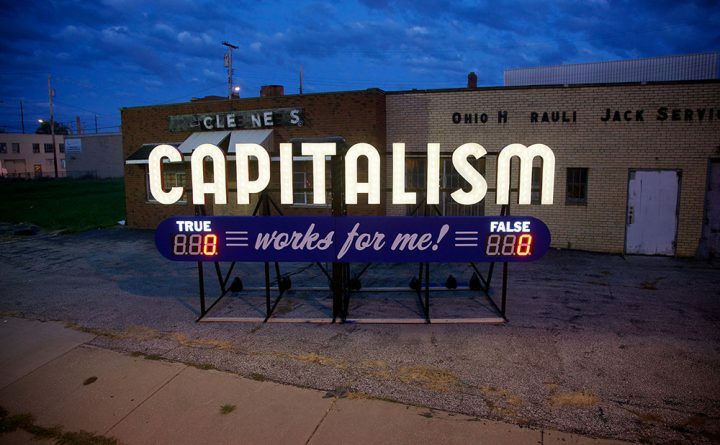 Sculpture and installation art, the curators suggested, were the media capable of delivering a political message. 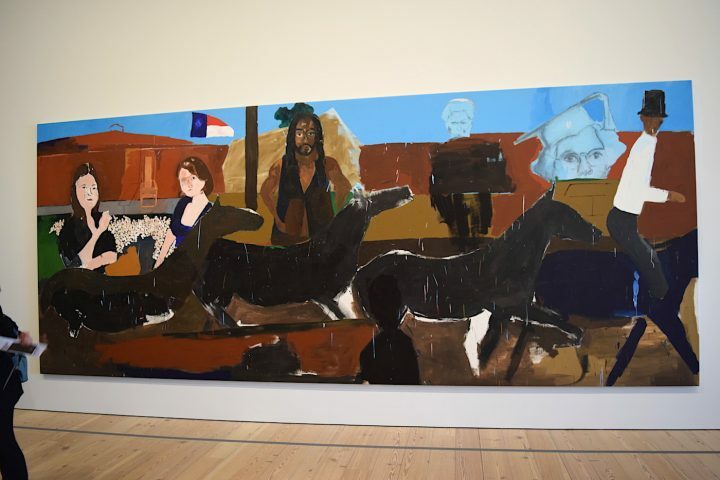 This year, the Whitney Biennial includes plenty of painting. And — for the most part — the painting is on message. It’s eccentric figuration with political content. Some of it is seductive, some of it is accomplished, and some is mediocre or worse. As I walked through the galleries, I feared that all levels were being equalized — curatorially and institutionally — under this category of figuration with political content. Is it enough for a painting to have a message? Is it enough if the painting successfully communicates relevant political content? Does content obscure our ability to discern qualitative differences? Should we not expect or demand that the Biennial curators are rigorous cultural arbiters — especially in a show that bills itself as gauging the current state of American art? In a couple of cases, the work is transcendent. 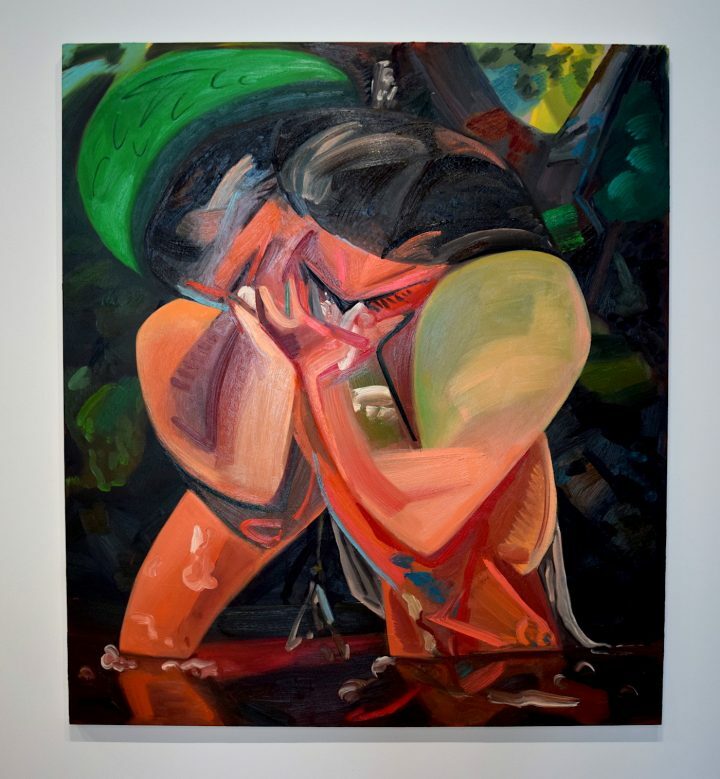 The two figurative painters who stand out, to my mind, are Henry Taylor and Dana Schutz. 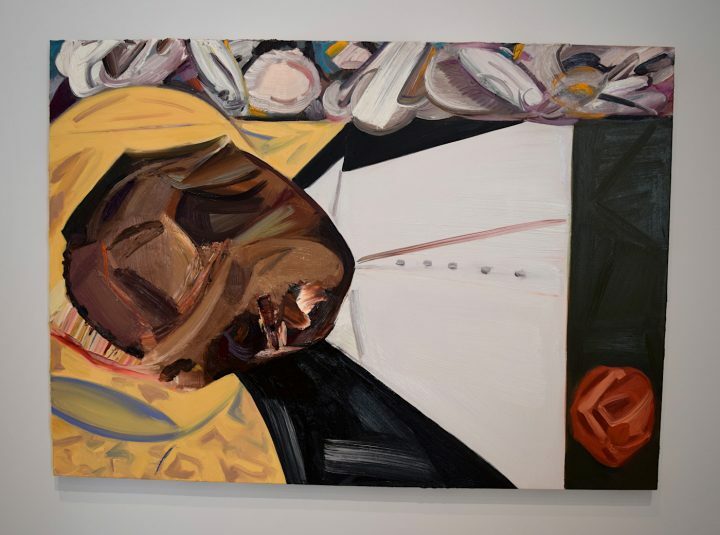 Schutz is represented by three pieces, including a painting of Emmett Till, “Open Casket” (2016). Till was the teenage victim of lynching in Mississippi in 1955, whose mutilated body was revealed in an open casket service as a symbol of injustice. A posthumous icon of the Civil Rights Movement, his image — and this painting — now reads as totally pertinent in the context of Black Lives Matter. 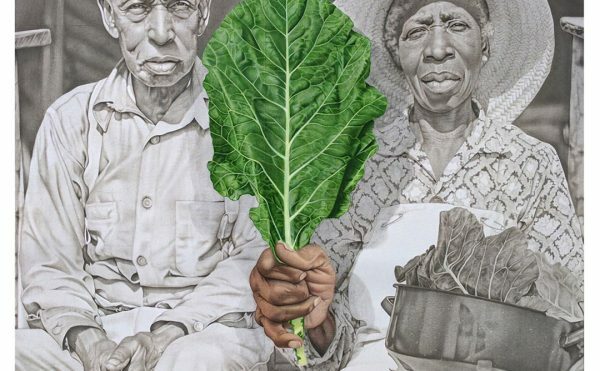 Henry Taylor’s project, as outlined in this group of work, is to image the African American community, lending it the construction, scale, and symbols of history painting. “The 4th” (2012-2017) is a vertical diptych measuring 156 x 74 inches, of a black man standing over a charcoal grill. “Ancestors of Genghis Khan with Black Man on Horse” (2015-2017) has the compositional format of a narrative frieze with a black horseman. In “Happy Day for Us” (2017), a couple is shown with angel wings. Taylor’s painting is generous in its color and energy. Although it makes use of art history, it is never bogged down with referents. Nothing is extraneous. It is open — a direct delivery system for the message. Schutz and Taylor stand heads above the rest of the painters in this show because they insist that the formal means of the painting — its entire structure and every visual inflection — serve the content, the message, the expression. This is most palpable in one work by each: Schutz’s “Shame” and Taylor’s “The Times They Ain’t A Changing, Fast Enough!” (both 2017). 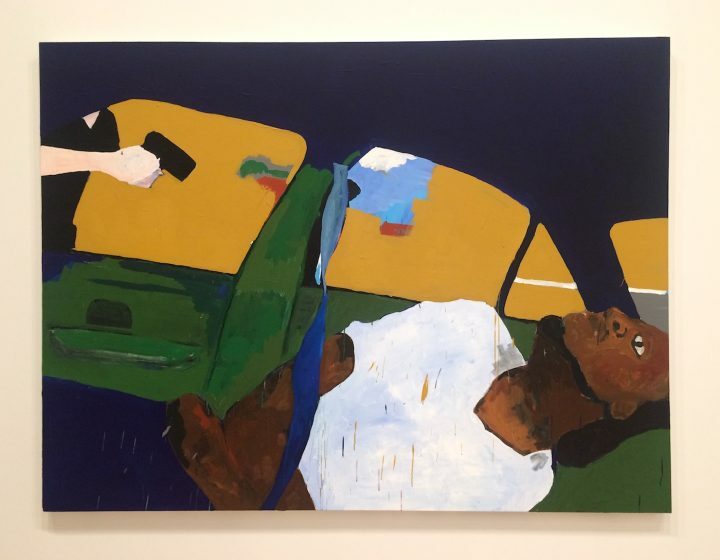 Taylor’s “The Times…” shows the fatal shooting of Philando Castile by a Minnesota police officer. 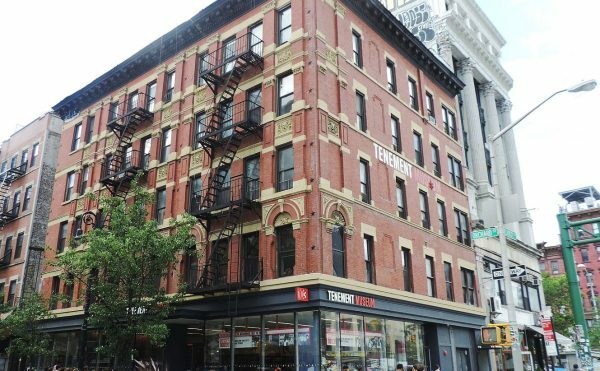 It’s also a fierce color composition — the deep blue window frames, mustard yellow windows, the green car interior, the dark skin of Castile pitched back in his seat, his lifeless, open eye, and his white T-shirt — splattered, poignantly, not with blood, but with blue and yellow drips of paint. With those drips, Taylor makes the case for painting as an enduring visual symbol, one that can transcend the illustration of this moment in time. It is meaning embedded in the matter of paint. Schutz’s “Shame” is a total huddle of shame — a figure-mass slouched and closed in on itself. 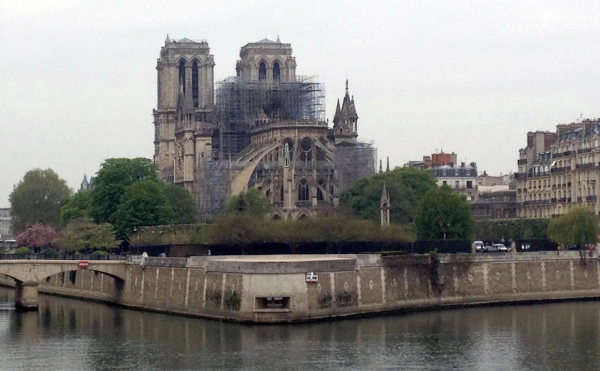 We live in a time when the onslaught of images pervades our cultural existence. This is reflected in contemporary figurative painting with image overlays, and the fracturing of forms. Schutz is a master-exemplar. But, in her painting “Shame,” all the parts add up. Each element and compositional decision is made in service of communicating a single sentiment. I love that Soutine painting, “Young Girl at the Fence” — just the way that her head is, or the way her eye goes down and her hands slip off each other. Everything about it swirls in the same kind of design — the horizon lunges up, the trees swirl in, it just really feels like shame. Her own painting “Shame” looks like an homage to Soutine — a lively pictorial symbolism — made with an utterly contemporary painterly shorthand. It also represents that pursuit to use the entire swirl of the composition to bring us into its world. But the longer I looked at this work, the more I felt conscious of the separateness of its parts. Certain elements — namely, the pinned-up Virgin Mary calendar, the details of the front page of the New York Times, and the patterns of the decorative tiles comprising the backdrop of this interior — were more compelling than the figures. And yet, this is a painting of people. I thought of Alice Neel, because certainly, Nisenbaum is taking on a similar project: to communicate something of our time, by depicting the individual. Like Neel, she shows us how the intimate details of the interiors, and the fashion, can be signs of a cultural Zeitgeist. 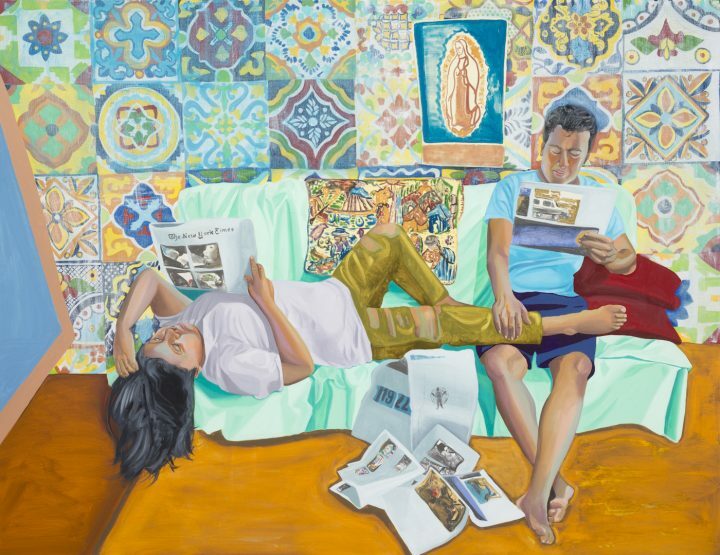 Neel’s painting “Mary Ellen and Benny Andrews” (1972), like Nisenbaum’s, shows two figures in a domestic interior with a mustard-yellow floor. Even the floor, with its suggestive shadow-shapes, is fully inflected with emotional charge. The minute details of the couple’s hand gestures and postures — where and what they touch — are the carriers of psychological content. 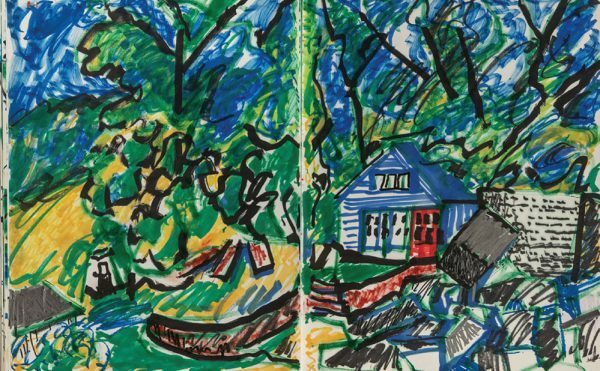 This heightened awareness of a person’s interior life radiates, in Neel’s work, across every part of the painting. I had similar questions about the inclusion of topical details when I looked at the work of Celeste Dupuy-Spencer. Her paintings and drawings are abundant with visual information. 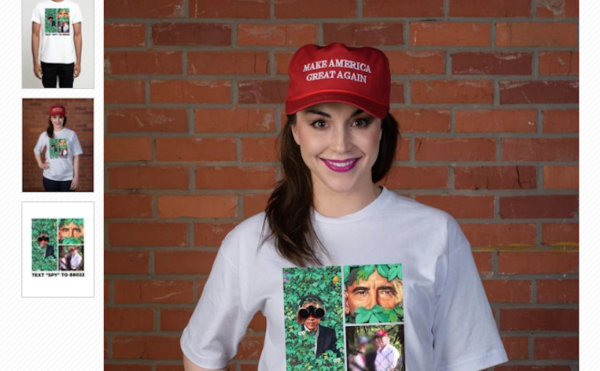 She depicts a subculture that many of us read as the stereotypical Trump supporters — a disenfranchised, white working class. There’s a sports bar, tattooed, shirtless dudes hanging out in run-down suburban streets, a house-closing party on a lawn heaped with junk. Dupuy-Spencer’s work is fun to look at, and she’s an accomplished draughtsperson. 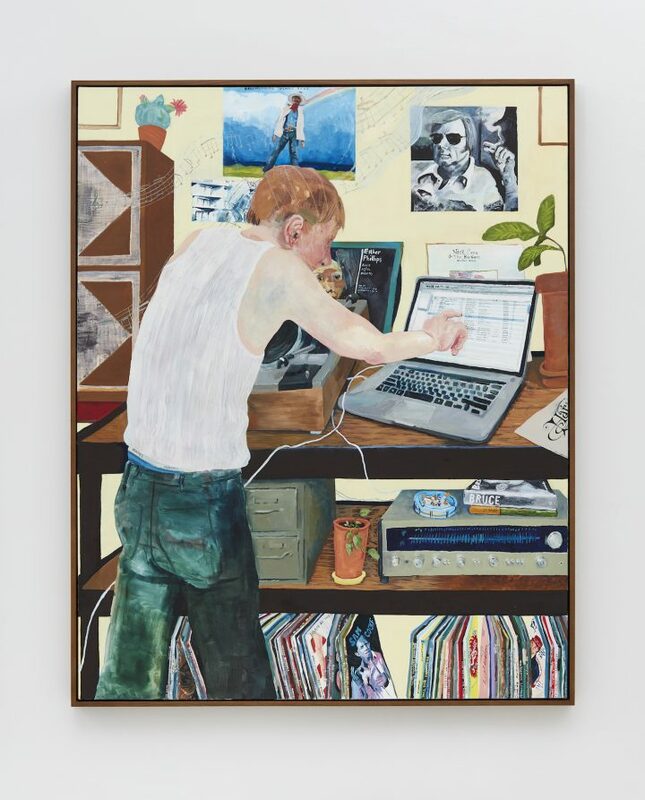 My favorite piece was “Fall with Me for a Million Days (My Sweet Waterfall)” (2016), where the pose of the guy huddled over his computer and shelves stocked with a turntable and vinyl albums, is a compelling, relatable image. But I wondered how it would look two years from now. The risk of too much time-sensitive detail, without an overarching container of human sentiment, is a short lifespan of relevance. In looking at Dupuy-Spencer, I was reminded of the work of a contemporary — Matt Bollinger — who often includes these same kinds of details in his paintings of interiors. 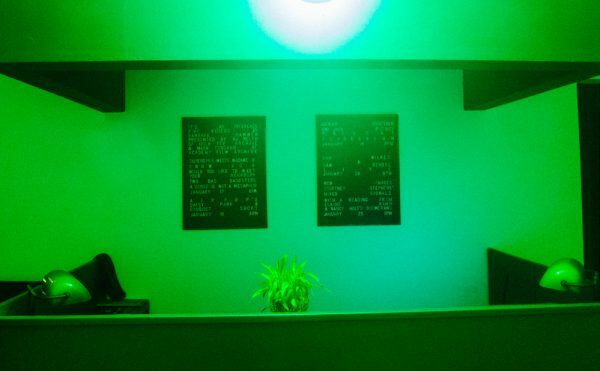 There are computer screens, records, books, a can of beer, and a partially obscured figure. They might be paintings of fragments, but Bollinger’s paintings are not fragmentary. There’s something bigger he is revealing about loneliness, alienation — even while he points to a specific American socio-economic class. It surpasses this particular news cycle — in part because his packed compositions are fully orchestrated with a sensitive control of tone and light. In the 2017 Biennial, the curators acknowledged the worlds that individual artists can construct. They chose to use the bigger floor plan of the museum to present multiple works by each participant — often installed together, occupying whole galleries. A single painting can also be that world: a unified, synthetic visual statement. In this exhibition, only a few paintings rose to that challenge. The 2017 Whitney Biennial continues at the Whitney Museum of American Art (99 Gansevoort Street, Meatpacking District, Manhattan) through June 11.